The Ministry of Defence is replacing its existing idea platform, GEMS Scheme, with Wazoku. The MOD is looking to build on the success of the GEMS Scheme by making it easier for staff to be directly involved in innovation, engaging the people that are best placed to identify issues, problems and opportunities. Idea Spotlight is seen as the best way of achieving those goals. Since the launch of the GEMS Scheme in 2012, it has achieved approximate savings of £14M and efficiencies of £37M, engaging around 11% of the Department. More than 5,000 ideas have been submitted, with 466 being taken forward. With the Wazoku implementation, the MOD is aiming to see a significant increase in engagement with the new platform and many more ideas flowing into the system. 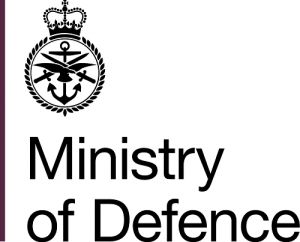 The MOD aims to ensure that the UK armed forces have the training, equipment and support necessary for their work, and is always looking to innovate to help keep pace with developments around the world. Idea Spotlight is used by a variety of businesses and public sector organisations to capture, evaluate, improve and implement ideas from all across an ecosystem. It’s a highly collaborative platform that makes it simple to discuss and develop ideas and comes with a range of features to make the entire idea process more engaging and effective. These features include a dynamic archive, that allows staff to be notified about previously submitted ideas so they can incorporate them into new recommendations where applicable.